Treating / hardening of components. Oil Chamber made of SS with sheathed heating element of suitable watt density in compare to properties of oil. Outer casing made out of Mild Steel sheet duly painted and well insulated with lid. It also consist of built-in thermostatic control. 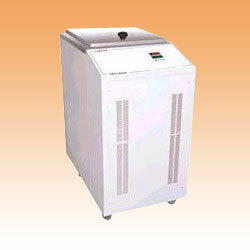 Oil bath is tailor made item, so can be fabricated as per the specific requirement.